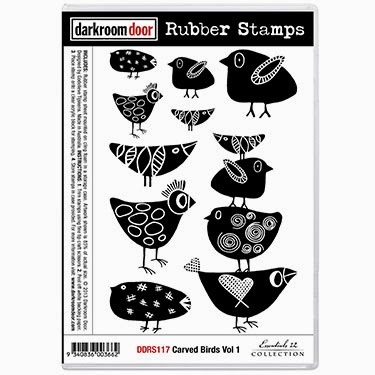 I have a bird tag:):) using Darkroom Door's Carved Birds Vol. 1, designed by Godelieve Tijskens. I think it will look great on a layout, too!!!! 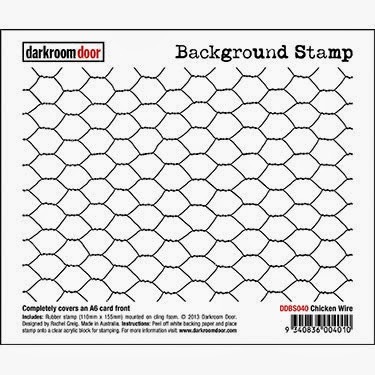 The background stamp (Chicken Wire) is also by Darkroom Door and fast becoming a favorite of mine. The ink is by Ranger/Wendy Vecchi. I love those birds! I love what you did with them too. Awesome tag! Aren't these great! You are super talented too! This is gorgeous! LOVING those birdies!!!!!!! ooooo I Love that tag!!! and the chicken wire - I need me one of those. Awesome tag, Connie! Love the birds! Love this tag! The chicken wire and birds go so well together. Great colors, love how you did the eyes. Oh I love those birdies!! How fun to "pile" them on top of each other!! The tag is fun! 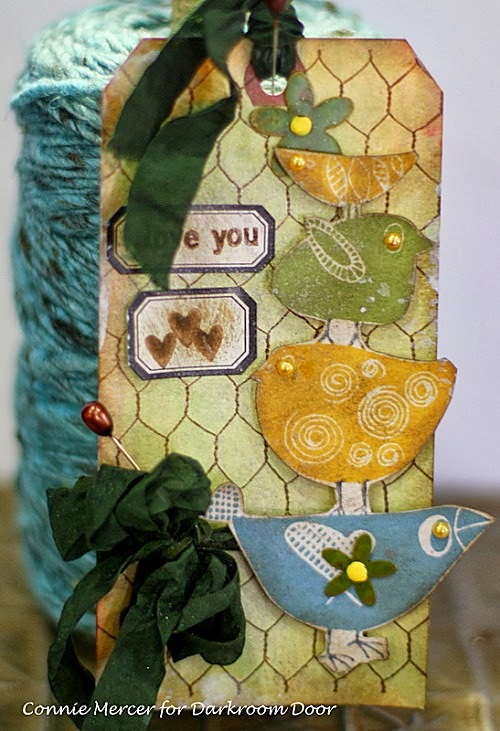 I love those birds ... with Easter and Spring upon us I can see a multitudes of ways to use them. I like how you used the chicken wire also.